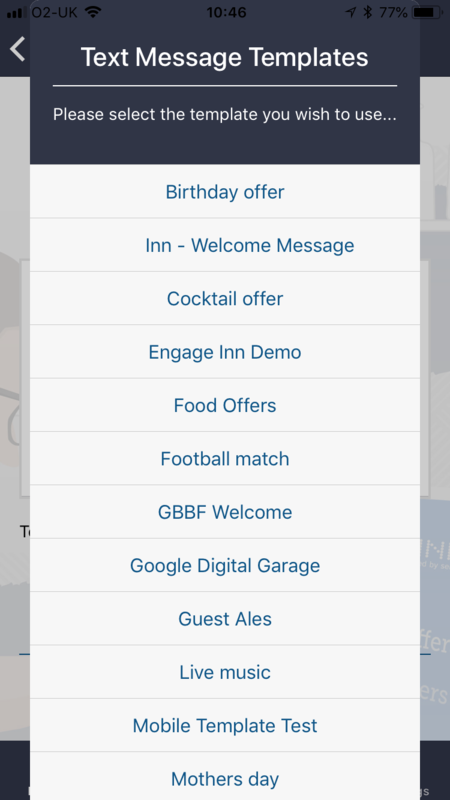 Step 1 - Select 'Send Messages' from the home page menu. Step 2 - Choose to send to a group via Tags or by name. We'll be using Tags in this example. Step 5 - Composing your message. You can create a message to send in a couple of ways. 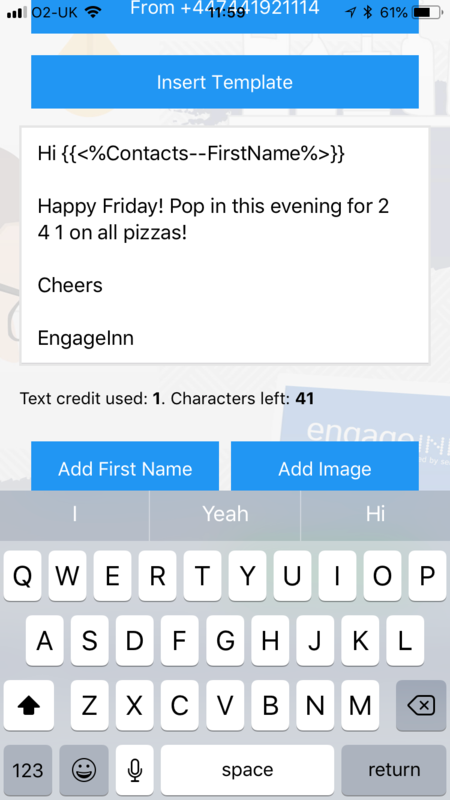 Typing a fresh one 'freehand' or using an existing message template. 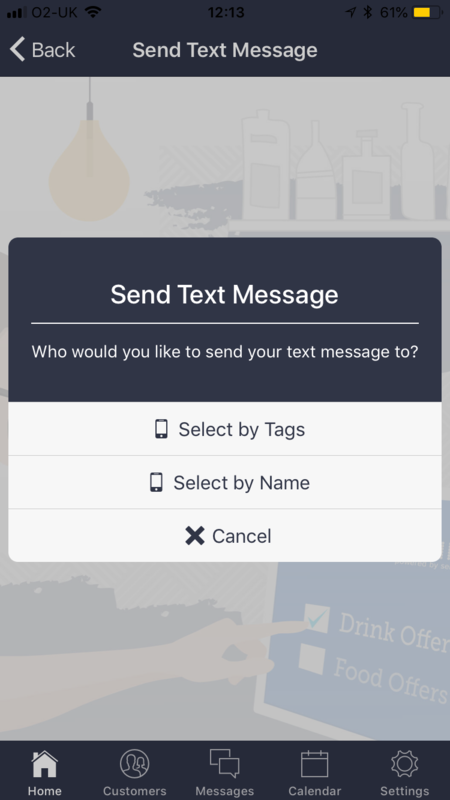 Tap in the message window and your devices keyboard will appear as shown in the following image allowing you to compose your message. 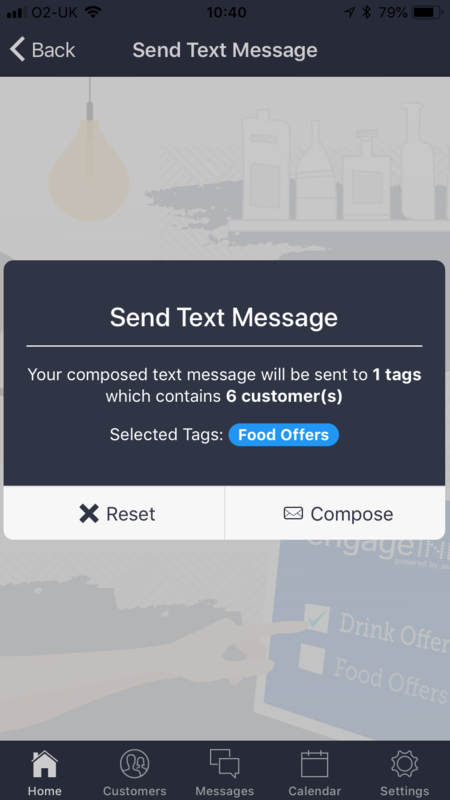 The 'Add First Name' button will insert the first name data tag into the message to ensure your message is personally addressed to the recipient. "Hi Steve", "Happy Friday Steve" etc. Wherever you choose to place the first name tag will define where the first name is displayed. Creating a message from a template. 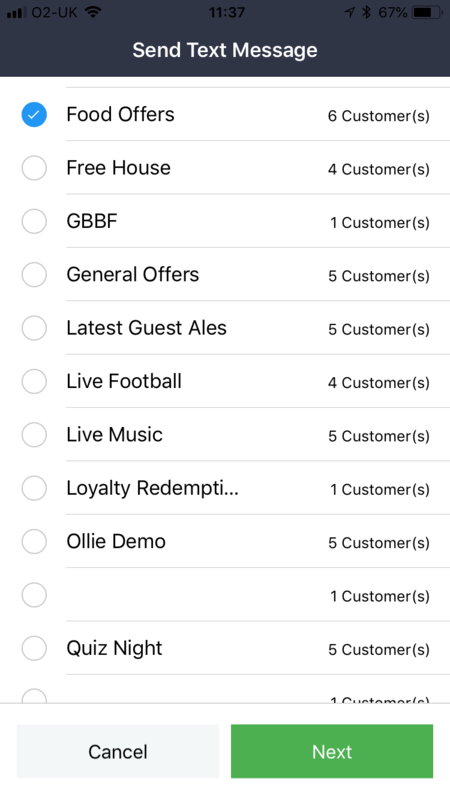 Choose which of your pre-created templates you wish to use and select 'next'. This will take you back to the message editor as shown here. 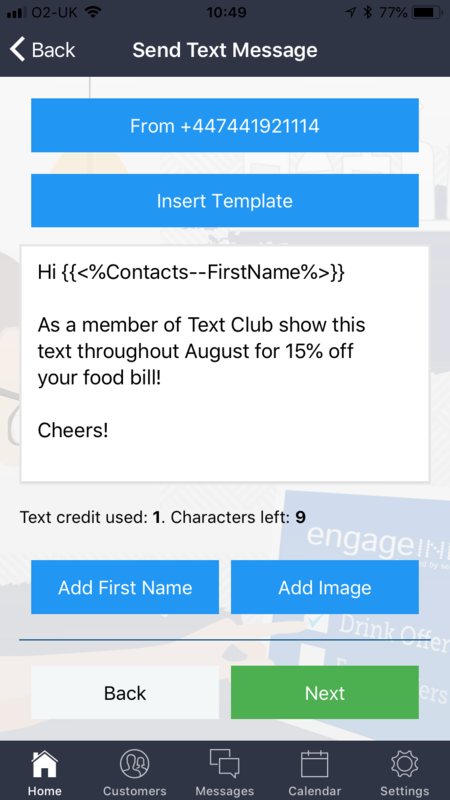 Adding images to your text messages is a great way to get more information to your customers without the need to use more text credits. 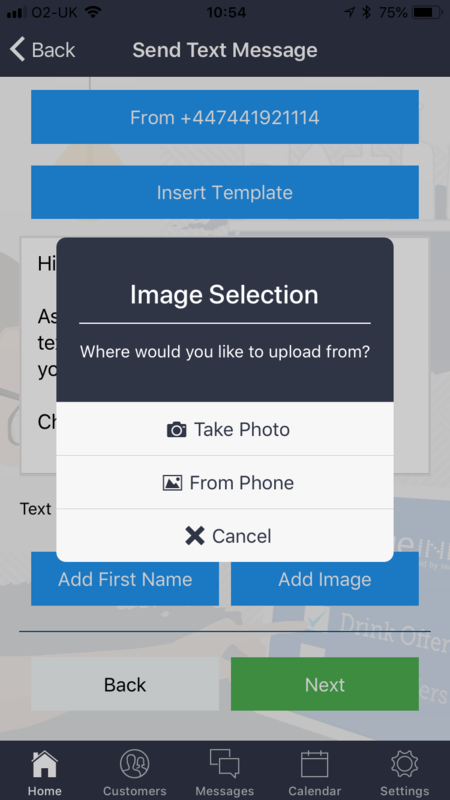 You can choose to add an image in a couple of ways, by taking a new photo via your device or from a saved file. 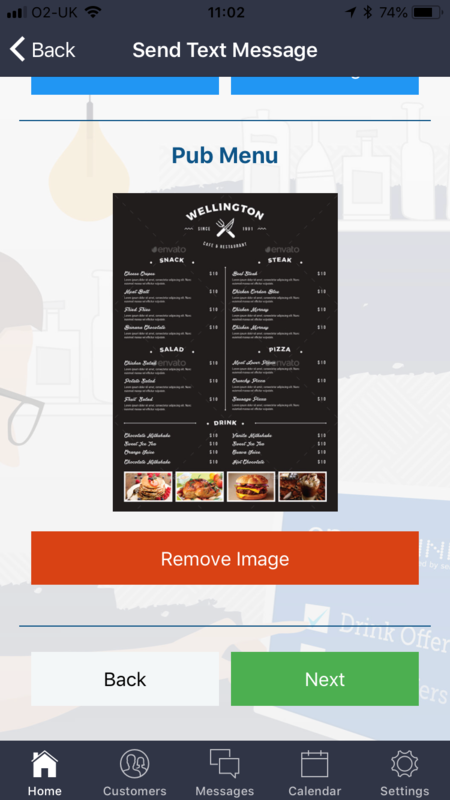 You will be asked to give your image a title, this will be exposed to your customers when they receive your message so make it customer friendly! 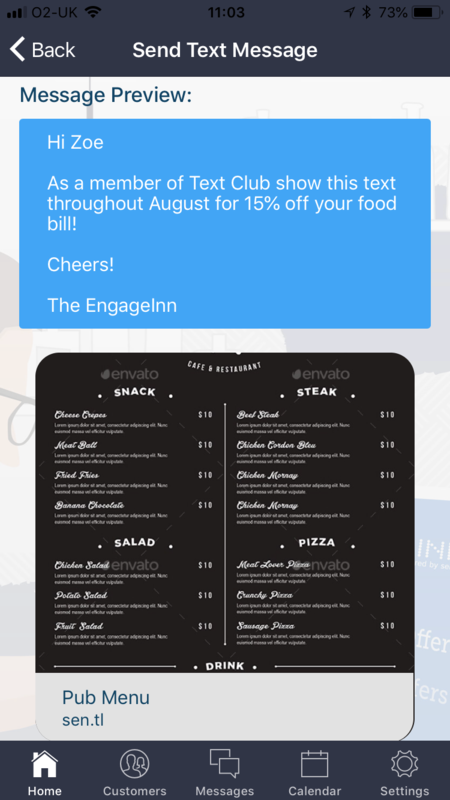 The next screen will display a view of what the message and attached image will look like. This is the final step. 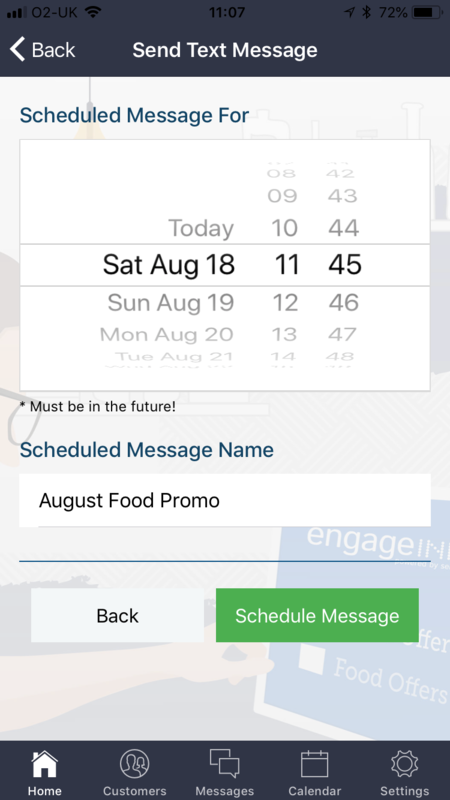 You can now choose to schedule your message to send at later date/time or you can send it straight away. 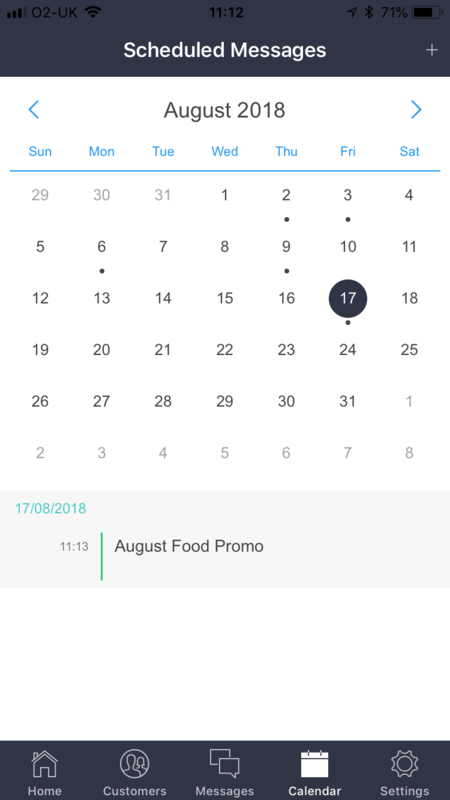 When choosing to schedule a message, you'll be given the option of selecting which day and which time to send it out. 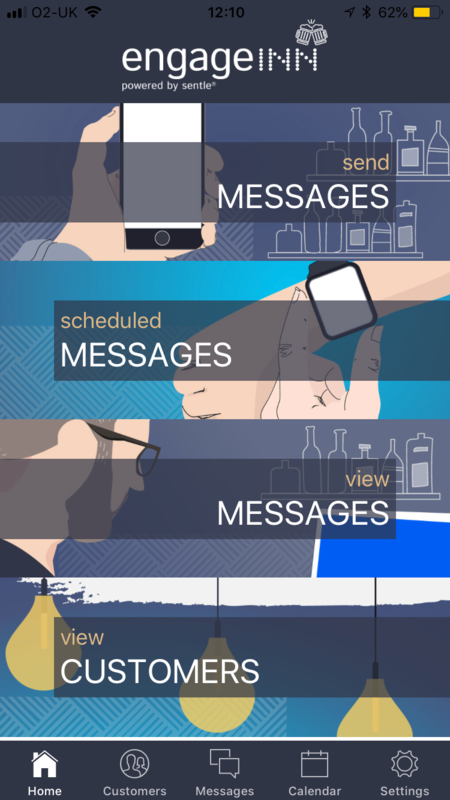 You'll have to give the message a title so that it can be easily identified in the message calendar.